Rail Rush is an exciting game. 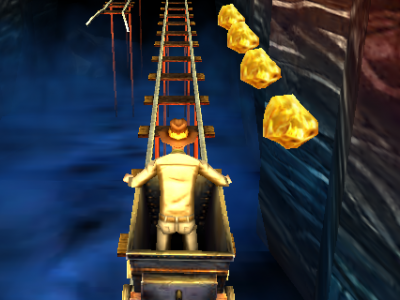 A miner is moving the car to the mine to collect as much gold as possible. Avoid obstacles, jump and go through obstacles.